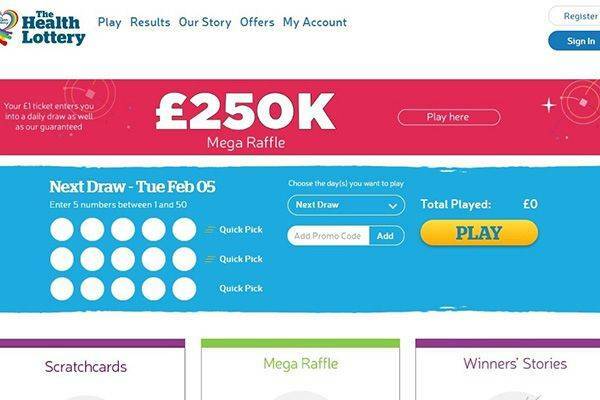 The health lottery is focused on one thing alone which is to tackle health inequalities in respected areas hence the idea of the health lottery managing 51 society lotteries representing a different geographical zone in Great Britain. These are managed on behalf of community Interest Company’s which are in turn all individually licenced by the gambling commission. 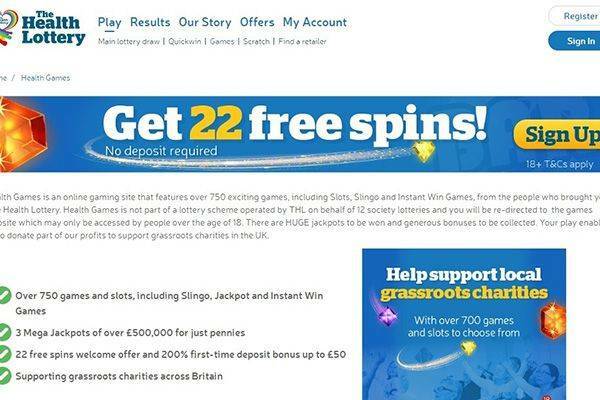 The health lottery is also different in that it does not guarantee you big winnings at once; instead the games are run twice a week and are actually regular. Playing any of the games assures you that you are helping out in one course or the other as they do not fail to point out that at least 20% of its profits from ticket sales are allocated to helping out those who are less privileged. The website comes with a friendly home page which basically contains all the information you need to help you get started with any of the game. At first the information on the website especially how to play might seem a little confusing but with time you tend to find your way around the website and navigating becomes as simple as it should be. At the health lottery the standard age for playing or for claiming a prize is 16 years and above. The rule of the game in health lottery is quite simple; pick five random numbers between 1 to 50 and also add a bonus number from the original 50 numbers to the number you have picked out already. Provisions have also been made for the quick pick to help you randomly choose five numbers for you to play with. You can decide to play online or from designated outlets in their preferred location. Health lottery tickets are available at over 32,000 retailers. 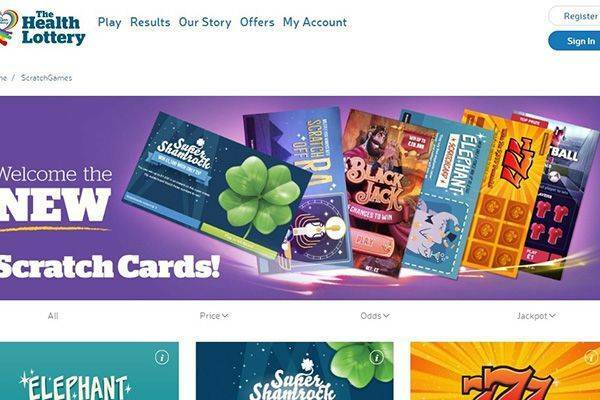 Play cards are issued to players and activated in the store at 1 pounds which enable them to either play online or text their selected numbers. Just as most games, you can play as many times as possible to increase your chances of winning. It is also important to note that tickets can be bought just for a week or for a period of 8 weeks. You also have to make sure that the number of weeks registered on your play card for a game is the number of weeks you actually want to play. This is to prevent any form of mistake from the retailer. It is therefore your duty to check for this information on your play card. Once this is confirmed, then you are in for the draws. You should understand that like most guessing games; the odds are always high in favour of losing which is why it is quite perfectly normal to play this game for a long while without being a winner. You should keep playing though if interested, perhaps, you would get lucky someday. The prizes to be won on health lottery are; match 5 numbers and stand a chance of winning 100,000 pounds. 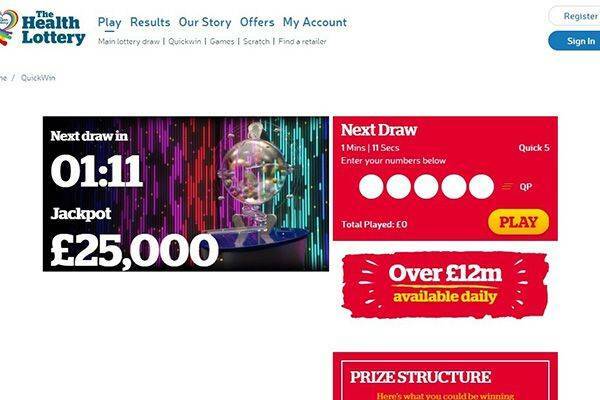 Match 4 numbers and the bonus ball, you stand a chance of winning 10,000 pounds. Match 4 numbers you win 250 pounds. Match 3 numbers with the bonus all and you stand a chance of winning 50 pounds. Match 3 numbers and you win 20 pounds. Match 2 numbers and a bonus ball and you win 10 pounds. 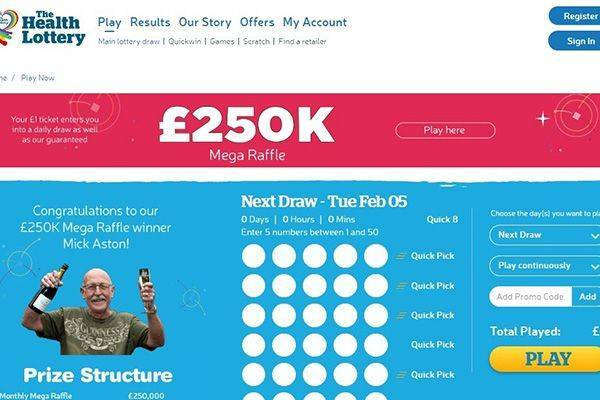 There is no mobile app created especially for this online lottery platform instead provisions have been made to access their website easily from your phone browser if you are not willing to go to a retailer. 1 pound is given to new players to the site. Deposits are only limited to debit cards or direct debits payable online. For prizes below 2000 pounds, payments would be made to your account. For prizes above that arrangements would be made for you to pick up your cheque. 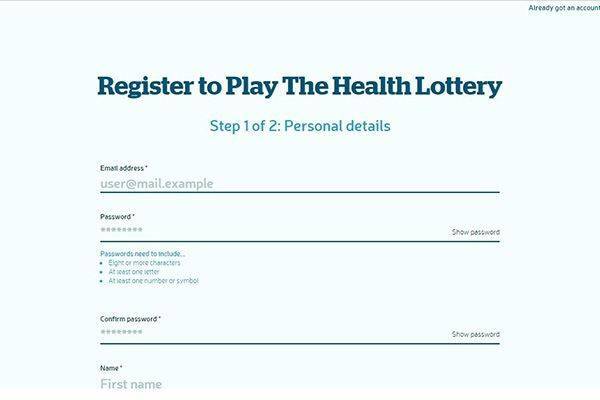 The Health Lottery has a very detailed and extensive FAQ page for the ease of use of their players, and those who think of registering. For a personalized support experience, there’s the option of direct email to The Health Lottery’s customer support, phone, and also by post. Is The Health Lottery legitimate or fraudulent? Asides keeping your information safe, Health lottery have proven themselves over time. Health lottery’s major aim is to aid in good causes, while this charitable act speaks good of them it doesn’t erase the fact that their jackpot is not as huge as expected.